Uber is a ridesharing app for fast, reliable rides in minutes – day or night. There’s no need to park or wait for a taxi or bus. 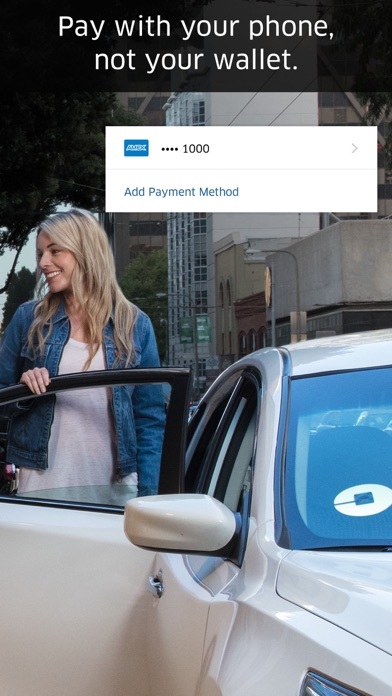 With Uber, you just tap to request a ride, and it’s easy to pay with credit card or cash (in selected cities only). 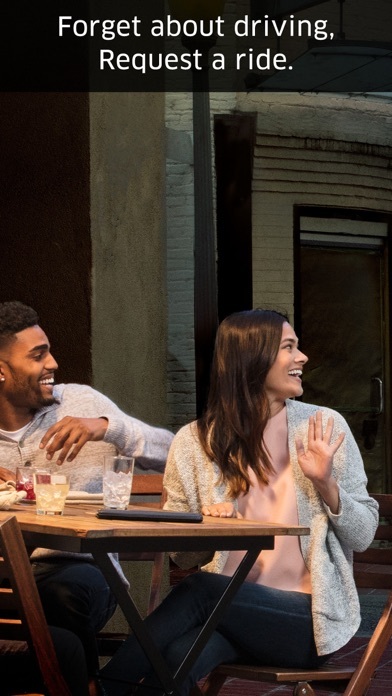 Whether you’re going to the airport or across town, there’s an Uber for every occasion. Uber is available in more than 500 cities worldwide – download the app and take your first trip today. Requesting your Uber is easy – here’s how it works: - Just open the app and tell us where you want to go. - The app uses your location so your driver knows where to pick you up. - You’ll see your driver’s picture and vehicle details, and can track their arrival on the map. - Payment can be made by credit card, cash (in selected cities only), Apple Pay, PayPal and more. 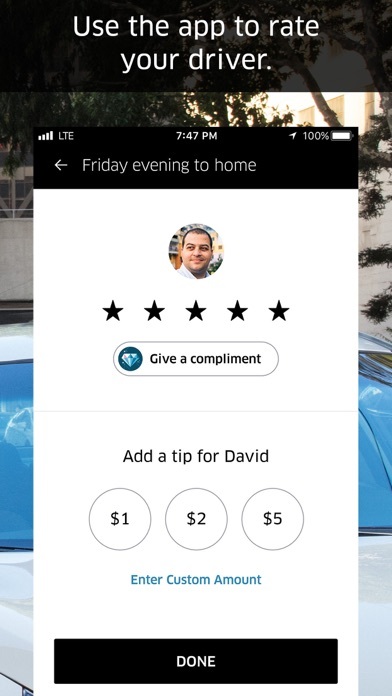 - After the ride, you can rate your driver and provide feedback to help us improve the Uber experience. You’ll also get a receipt by email. Need a simple way to get from A to B quickly? 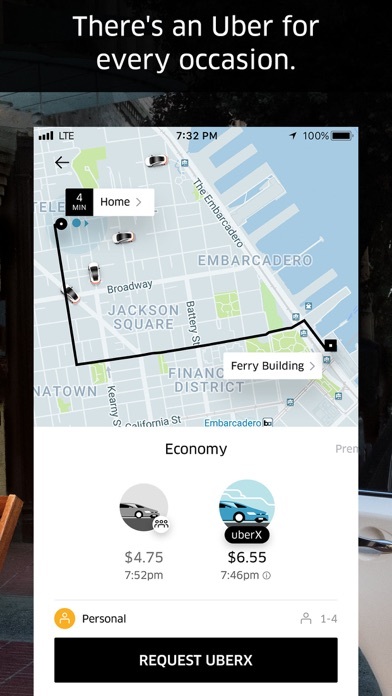 Take uberX, our most affordable option for individual travel. Want to save money on your ride? Take uberPOOL – you’ll travel with other riders heading in the same direction, and enjoy a lower fare. Want a more exclusive experience? Take a high-end vehicle with UberBLACK. And there are even more options – whether you’re travelling with a big group or need a vehicle with accessibility features. 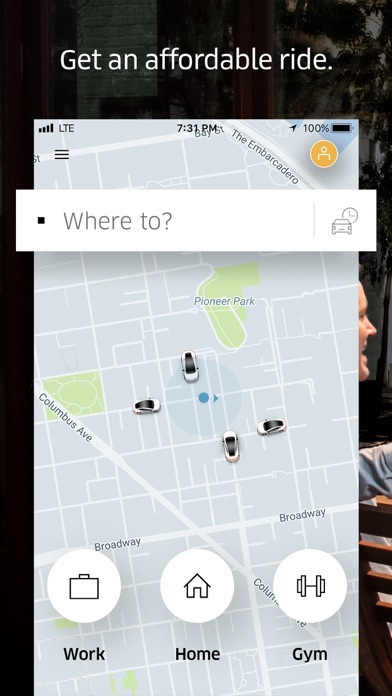 See if Uber is available in your city at https://www.uber.com/cities Follow us on Twitter at https://twitter.com/uber Like us on Facebook at https://www.facebook.com/uber Got a question? Visit uber.com/help. Note: continued use of GPS running in the background can dramatically decrease battery life. More by Uber Technologies, Inc.